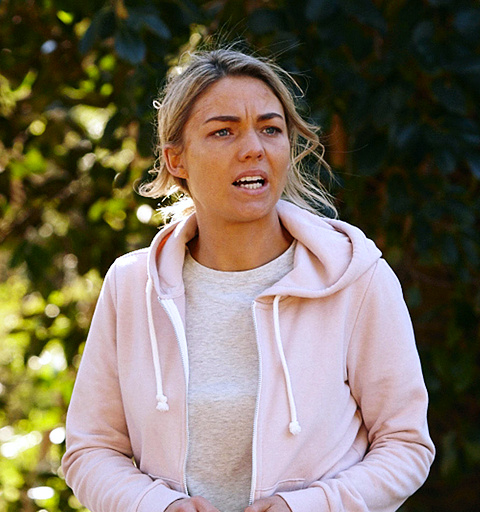 When Colby has David arrested for breaching his injunction, Jasmine finally starts to settle into life in Summer Bay but the past comes back to haunt her when she returns to her caravan to find her stalker sitting on her bed. Unable to forgive Alf for lying about her mother, Roo moves out, prompting him to hand her a letter that could explain everything. And the rest of the Astonis are worried about Maggie’s reaction to her first round of chemo.